Encouraging biodiversity is a key part of the concrete industry’s sustainability policy. Working closely with the Nature After Minerals initiative from the RSPB and Natural England, aggregate extraction firms have helped to restore and develop numerous former extraction sites. Gravel extraction pits are often filled in with water to create lakes and reed beds which encourages wildfowl. Sand martins, plovers, falcons and kestrels all breed successfully in quarries and pits. A typically successful scheme was carried out by Lafarge Aggregates (now known as Tarmac) in partnership with the National Memorial Arboretum in Staffordshire. Lakes, ponds and riverine habitat were created, along with grassland, reed beds, wetland and more than 50,000 trees. It is, though, only one of many projects. Tarmac is a member of 17 country wildlife trusts, is the guardian of two National Nature reserves and manages 30 SSSIs, 17 of which are former quarries. It has previously been estimated that some 700 SSSIs were originally quarries or part of land owned by mineral operators. 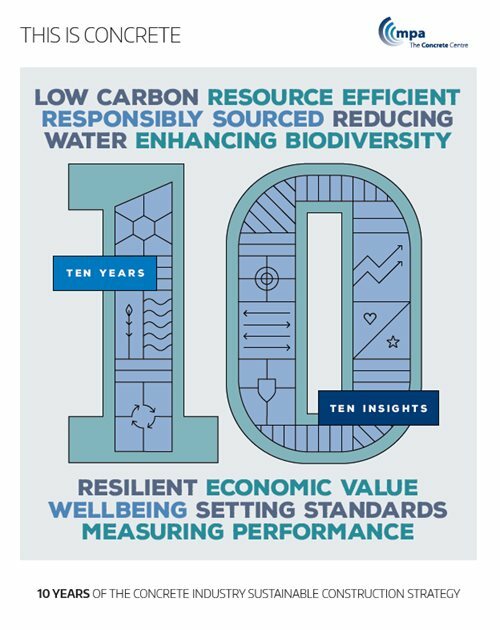 More information on the concrete industry's biodiversity achievements and targets, see This is Concrete: Ten Years, Ten Insights.